Ok, I think it is time for another post on kid's books. I have to say, this round some are good, the others made me want to throw the book out the window. Let's get this started. Percy Jackson and the Olympians by Rick Riordan. I have to say, I loved this series! I'm a history/ mythology nut and I loved how Mr. Riordan applied this rich mythology into the present day stories. 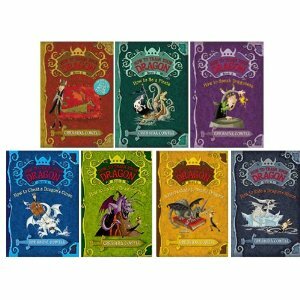 I think that this series is a wonderful read for kids. It has a good story to follow. Some true bad guys you want defeated. And like another popular series out there, is about a boy and his two closest friends who want to help him out on his adventures. Unlike some series I have read, this series stays strong and the story flows smoothly from one book to another. I think that this series could easily help a kid understand some classical history a little better. The updated version of Jason and the Golden Fleece was done well. Plus, made the gods of Greece more understandable and left out a lot of the sordid details to make them a little more kid friendly. I haven't read this series to my kiddo yet, I think she is still a little to young, but I will. I say that these books are a to read! 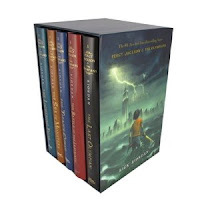 Mr. Riordan also has another series out as well, that is continuation of the Greek gods and features three news kids and the old ones we have come to love. I'll save those for another post. Along with his anciant Egyptian series. Next, on the agenda of kid's books is the bad. This has to be one of the few times that I prefer the movie over the book. Oh, my gosh! These books drove me crazy! How to Train Your Dragon by Cressida Cowell. The movie was fun and full of adventure that the whole family could enjoy. Toothless was fun and Hiccup was hilarious. In the books however, Toothless is the biggest whiner. He was a selfish dragon that refused to do anything unless something was in it for him. Hiccup was a huge wimp who never stood up for himself and he did everything Toothless begged him to do. The only thing that was the same between the movie and the book, were the names. Nothing else is the same. The dragons in the books are dog sized and stay in the house. Dragons are already a prominent part of this viking society. The books are written from Hiccups perspective as if it was part of his journal. The whiny-ness of these books, the bullying that went on from his cousin in every book... It was just to much. It was also very crude for a kids book. I remember when there were higher standards. I read the first two to the kiddo, but she was not pleased that they were not the same as the movie. I read the next two to see if it improved any. They didn't. Don't waste your time with these books. Not to read!